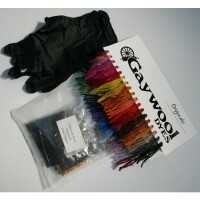 Gaywool starter sets are an ideal starting point either to try the dyes for the first time or for those wishing to try some different colours without having to spend a great deal to achieve this. We have therefore tried to keep prices to a minimum. 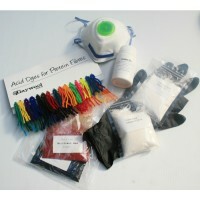 For those who have never added auxiliarie chemicals with the dyes before, these starter sets give you a chance to experiment with them and test your creativity with these beautiful intense colours. If you follow the instructions and safety information you will soon see that with the Lanasets & Acid dye ranges, you can achieve a great deal at very little cost. With so many variables in shade & intensity we recommend that you record your results and if you are duplicating colours you will then have accurate records which you can use again to achieve the same result. 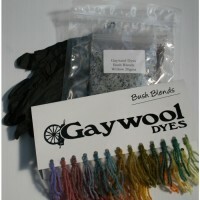 Each10gms dye will dye 1kg of fibre/fabric to a medium shade.